Complete remodel in 2016 including new impact resistant sliding glass doors. Must see to appreciate the level of finish detail. This convenient first floor unit with oversized bedrooms, double master walk-in closets, private brick patio and extra parking space, features FULL HARBOR VIEWS, DEEDED BOAT SLIP (Sailboat water /boat up to 43'), NEW 10,000 LBS BOAT LIFT and comes TURNKEY FURNISHED! 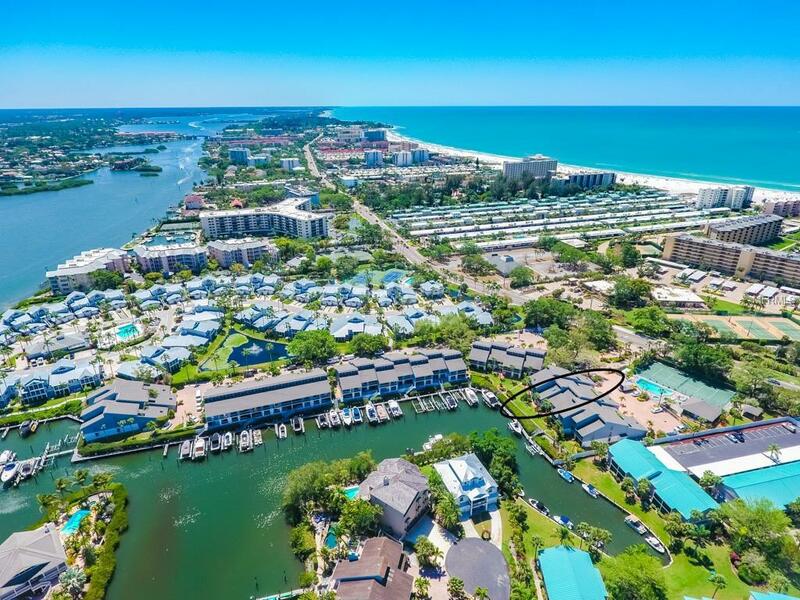 This will be the nicest property you show your Buyers on Siesta Key!